If you know someone who graduated from BCHS in Harned, KY that has passed away, you can create a memorial for them. There are currently no memorials for Breckinridge County alumni. The BCHS alumni site is made so that students and teachers from the Harned high school can reconnect with those that they met while attending high school. You can also find out what other graduates are doing now, share memories with other alumn, upload pictures from BCHS and find other alumni. If you are an alumn of Breckinridge County High you should register now in the alumni directory. We also encourage you to interact with the rest of the alumni on this site. You can find old friends, share photos and stay updated on the latest school news. Raymond Carman1969 has someone searching for them. Raymond Carman has someone searching for them. Robert Decker has someone searching for them. Chance Tate has someone searching for them. Sonya Collins added photos to their personal photo gallery. 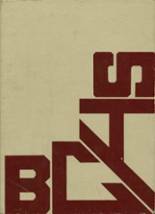 Sonya Collins requested a BCHS yearbook from 1998. Dennis Campbell registered as a BCHS Class of 1987 alumni. Dennis Campbell added photos to their personal photo gallery. Dennis Campbell updated his profile picture. 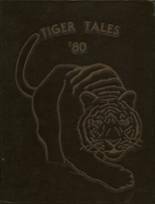 Dennis Campbell requested a BCHS yearbook from 1987. Vanessa Powers Hayes updated her profile picture. Vanessa Powers Hayes registered as a BCHS Class of 1992 alumni. Vanessa Powers Hayes added photos to their personal photo gallery. 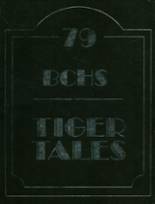 Denny Brizius requested a BCHS yearbook from 1995. Denny Brizius added photos to their personal photo gallery. Erin Byrd added photos to their personal photo gallery. Erin Byrd registered as a BCHS Class of 2005 alumni.